Happy Friday! This week was one of those weeks where I wasn’t quite sure what day it was because it felt like the days were too long but yet I didn’t have time to get anything done. 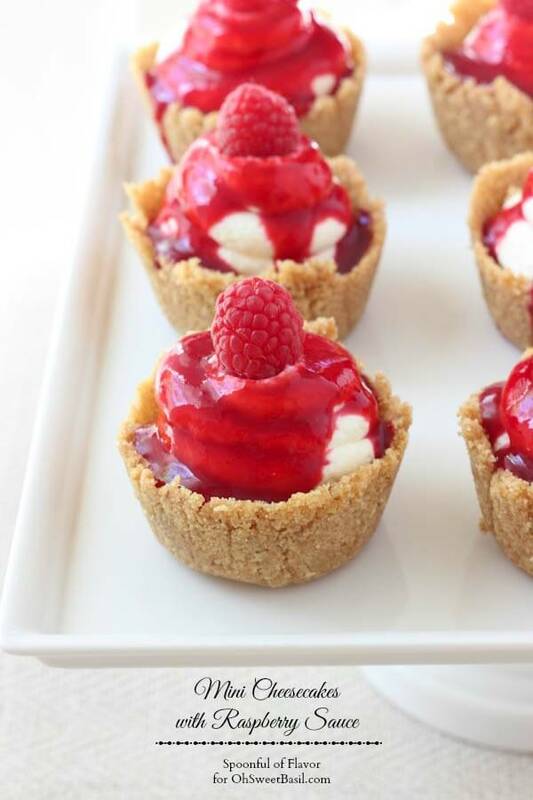 To help you get the weekend started and to give you a fun little idea for a Valentine’s Day treat, I’m sharing these no-bake mini cheesecakes with raspberry sauce. 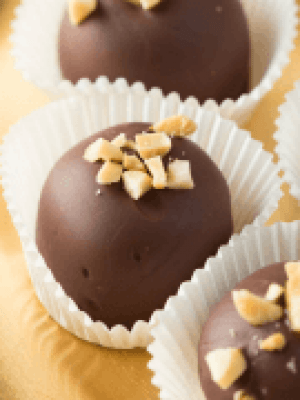 The impressive sweet little treats are a single serving of three no-bake layers. 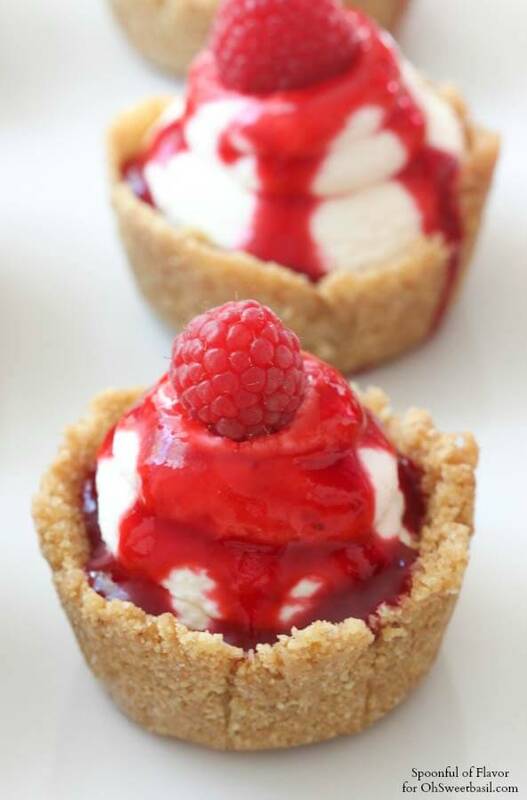 A layer of graham cracker crust is filled with cheesecake filling and topped off with a drizzle of raspberry sauce. 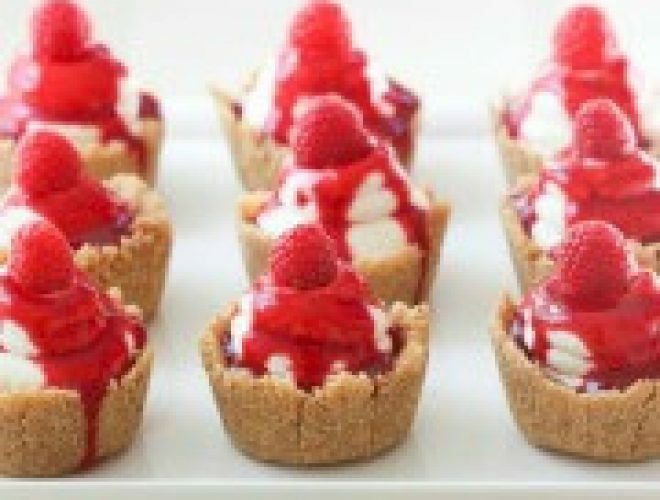 Today, I’m sharing the recipe for these No Bake Mini Cheesecakes with Raspberry Sauce on Oh Sweet Basil. I am so grateful for the opportunity to post on Carrian’s blog. We both share a love of food and fitness, and she has so many incredible recipes. Stop by to say hi and check out some of her recipes while you are there! 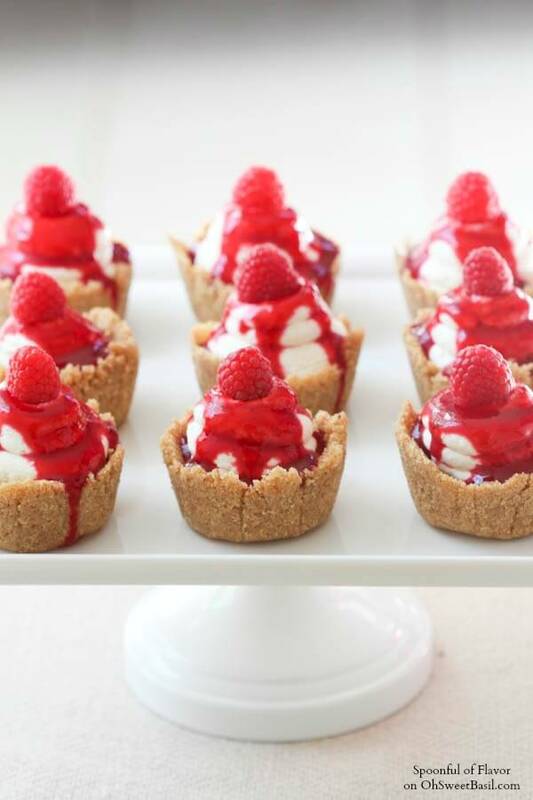 Find the recipe for No-Bake Mini Cheesecakes with Raspberry Sauce HERE. Thanks, Jussy! I'm so glad you liked it! 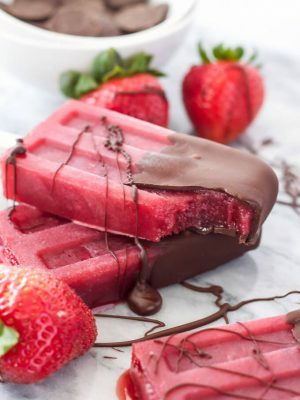 Oh, these look delicious and like the perfect little treat to bring to a summer gathering! Hi Ashley! Creme fraise works best in this recipe. I have never tried it with sour cream because the consistency and taste would not be the same. Nora, I have a sign up button at the top of my blog, right above the header. Thanks so much for stopping by! You such a awesome baker girl, even when you are doing no bake treats! These look wonderful! WOW! 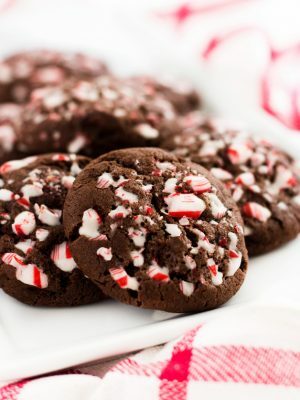 These are gorgeous and look so delicious! Amazing Ashley!